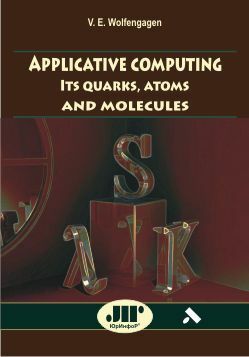 This work covers the advanced topics in main ideas of computing in general. This material is approved in practice of NRNU MEPhI, MIPT and several other educational centers of the Russian Federation. Its 1st part represents an outlook of computations, which is achieved by adoption of the atomic doctrine for specified reference system of primary objects. The main attention is given to finding-out of technological features of computations with objects. Their interaction is considered in applicative environment that allows finding out internal structure of usual operations which knowledge allows understanding their properties. The choice of initial constant entities, considered as primary and referred as combinators is discussed. These initial entities are used as the basic ``building blocks'', entering in applicative environment in interaction with each other. This interaction results in the constructs, giving representative sets of usual operators and to the embedded computing systems. The 2nd part gives some supply of environments for educational and methodical complex of corresponding discipline (EMCD). This material is suitable both for advanced learners and beginners in Computing and Information Technologies as well as in Discrete Mathematics (DM) and Fundamental Basics of Information Technologies (FBIT). It helps for developing the intuition sufficient for successful navigation across the dramatically changing world of innovative information processes which occurs both in nature and technology. Material is especially useful for the instructor, postgraduate and graduate students of IT-specialties and is suitable for the system of training and advancing the qualification of specialists.